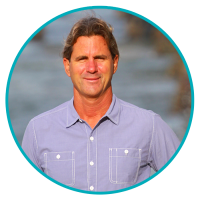 Serge Dedina is the Executive Director and co-founder of WILDCOAST and the author of Saving the Gray Whale, Wild Sea and Surfing the Border. In recognition of his conservation achievements, Serge was awarded the San Diego Zoo’s Conservation Medal, was named a California Coastal Hero by the California Coastal Commission and a John Muir Fellow at UCSD, and received the SIMA “Environmentalists of the Year” Award. Elected Mayor of Imperial Beach, his hometown, in 2014, Serge is also the chair of the Shoreline Preservation Working Group for the San Diego Assocation of Governments. As Mayor, Serge led the effort by the City of Imperial Beach effort to sue 35 of the world’s largest fossil fuel companies for causing sea level rise, a legal claim that now includes the City and County of Santa Cruz as well as the Counties of San Mateo and Marin. Imperial Beach is also suing the International Boundary and Water Commission and Veolia Water for violating the Clean Water Act. Serge grew up and still lives and surfs in Imperial Beach. A former State of California Ocean Lifeguard, he enjoys searching for waves with his wife Emily and sons Israel and Daniel, who are also both California Lifeguards as well as students at Cal Poly-San Luis Obispo and UCLA. Serge received his Ph.D. in Geography from the University of Texas at Austin and his B.A. in Political Science from UCSD.